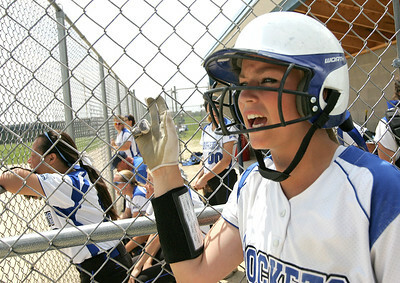 H. Rick Bamman - hbamman@shawmedia.com Burlington Central's Kassidy Gaylord shouts encouragement the dugout in the fifth inning during the 3A Belvidere North Softball Sectional. Marengo beat Burlington Central 4-0 on Saturday, June 6, 2015. 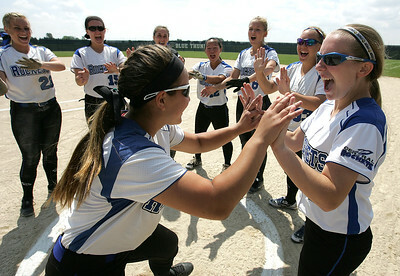 H. Rick Bamman - hbamman@shawmedia.com Burlington Central's Kristina Ahlers greets teammates during introductions at the start of the 3A Belvidere North Softball Sectional on Saturday, June 6, 2015. H. Rick Bamman - hbamman@shawmedia.com Burlington Central's Kristina Ahlers leaps to grab a line drivein the class 3A Belvidere North Softball Sectional on Saturday, June 6, 2015. Burlington Central fell to Marengo 4-0. 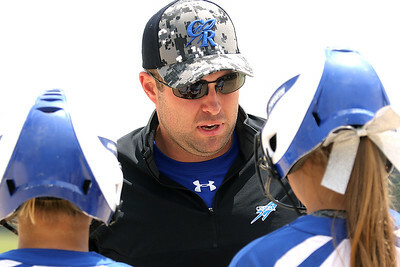 H. Rick Bamman - hbamman@shawmedia.com Burlington Central's coach Kyle Molik encourages players in the fifth inning on Saturday, June 6, 2015. 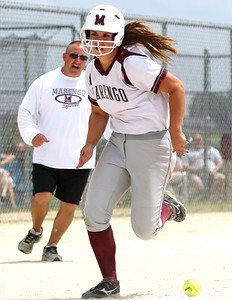 H. Rick Bamman - hbamman@shawmedia.com Marengo's coach Dwain Nance shouts encouragement to base runner Veronica Ruelius as she heads for home on a bunt during the Class 3A Belvidere North Softball Sectional on Saturday, June 6, 2015. The ball rolled foul. 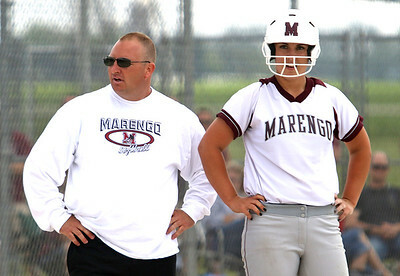 H. Rick Bamman - hbamman@shawmedia.com Marengo's softball coach Dwain Nance and base runner Veronica Ruelius wait for play to resume during the Class 3A Belvidere North Softball Sectional on Saturday, June 6, 2015. 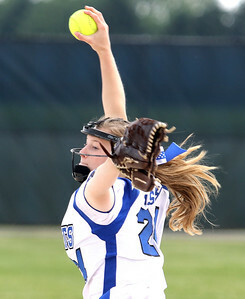 H. Rick Bamman - hbamman@shawmedia.com Burlington Central 's pitcher Emily Kisch faces a Marengo batter on Saturday, June 6, 2015 during the class 3A Belvidere North Softball Sectional. Marengo won 4-0. 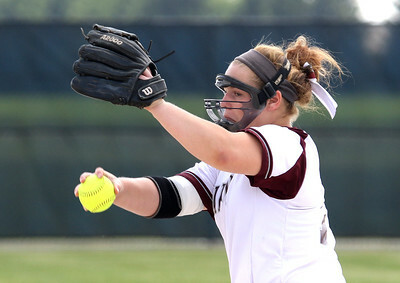 H. Rick Bamman - hbamman@shawmedia.com Marengo's Mariah Dionne pitches in the second inning of the 3A Belvidere North Softball Sectional. 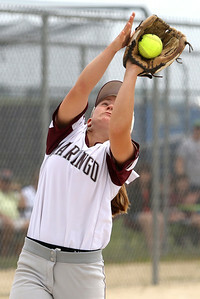 Marengo won 4-0 over Burlington Central on Saturday, June 6, 2015. 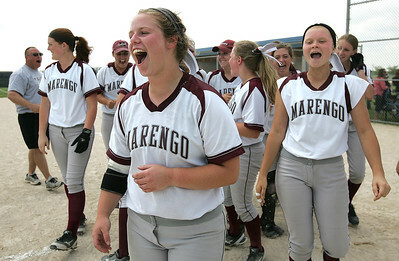 H. Rick Bamman - hbamman@shawmedia.com Marengo's Mariah Dionne (center) celebrates with teammates after Marengo won the 3A Belvidere North Softball Sectional 4-0 over Burlington Central on Saturday, June 6, 2015. 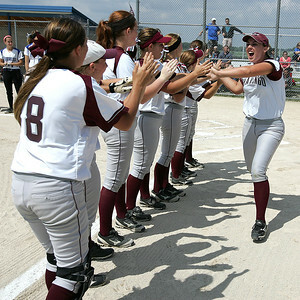 H. Rick Bamman - hbamman@shawmedia.com Marengo playes high five each other during pre-game introductions at the Class 3A Belvidere North Softball Sectional on Saturday, June 6, 2015. H. Rick Bamman - hbamman@shawmedia.com Marengo's Jessica Turner scores the first run past the tag of Burlington Central's Kelly Wiater during the 3A Belvidere North Softball Sectional. Marengo beat Burlington Central 4-0 on Saturday, June 6, 2015. H. Rick Bamman - hbamman@shawmedia.com Marengo's Allison Jasinski grabs an infield pop fly in the third inning during the class 3A Belvidere North Softball Sectional. Marengo beat Burlington Central 4-0 on Saturday, June 6, 2015. Marengo's Allison Jasinski grabs an infield pop fly in the third inning during the class 3A Belvidere North Softball Sectional. 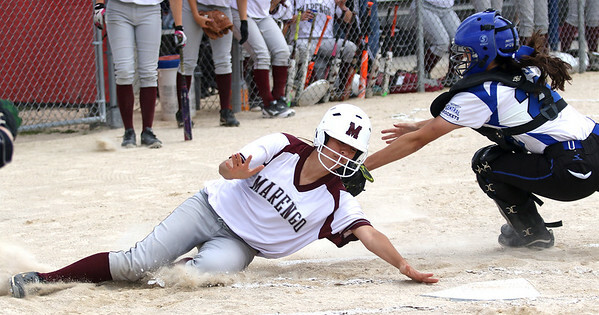 Marengo beat Burlington Central 4-0 on Saturday, June 6, 2015.